Exterior color selection is an important part of buying a new or used vehicle. Most Jeep Wrangler owners will admit the exterior color of their Wranglers was an important factor in their purchase. Over the years, the Jeep Wrangler has had a wide array of colors since its first model year back in 1987. 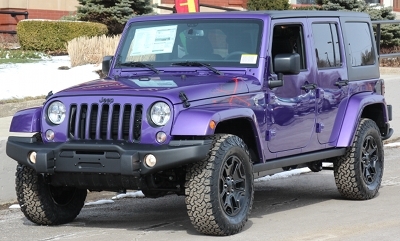 There really isn’t a wrong exterior color choice for the Wrangler since it looks good in just about any exterior hue. However there are 10 Wrangler colors that stand above all the others. Here’s the list of the Top 10 Wrangler colors – some of these may surprise and some may come as no surprise. At spot number 10 is a wild color, so wild it seems to epitomize the unrestrained go anywhere nature of the Wrangler. Xtreme Purple Pearl appears to be a joke, it’s so outlandish. That is until you see one in person. The color is mesmerizing, and has won over many naysayers. 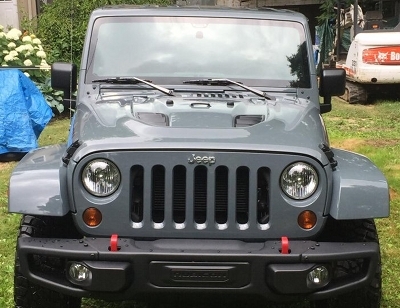 It was introduced as a color choice for the 2016 Wrangler Back Country Edition, it has proved so popular Jeep brought it back another year as a color choice for all 2017 Wrangler models. If there was any color that would make Xtreme Purple seem tame, it would be Gecko Green. It’s by far the brightest Wrangler color ever offered. 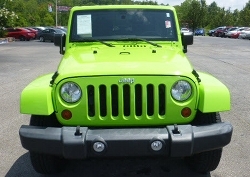 It’s the closest thing to coloring a Wrangler with a neon green highlighter pen. It’s the only vehicle Kermit the frog could stand next to and not be noticed. Gecko Green was only available for the 2012 and 2013 model years . 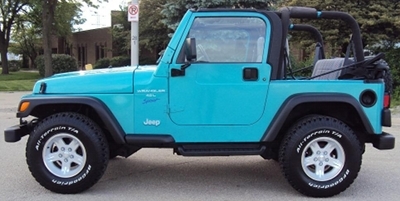 This color has grown in popularity among Wrangler fans since it was cancelled. It’s one of the those Wrangler colors that grows on you, eventually you either respect it or fall in love with it. Orange and yellow are the colors that offer the highest resale value for car owners. Is it any wonder that Orange colored Wranglers are so sought after? 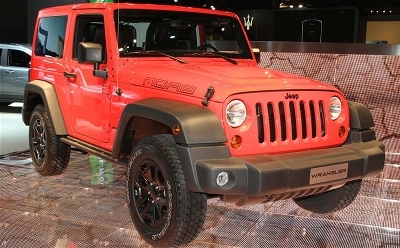 Impact Orange is a bright warm color which seems to fit the Wrangler persona perfectly. 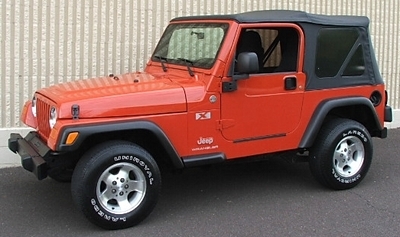 For 2005 and 2006, Jeep offered Impact Orange as a Wrangler color. It was a reddish orange hue that looked good, especially since it contrasted the black trim and fenders. This color looks like the perfect beach sunset. If Impact Orange is the perfect beach sunset, Bright Jade Satin Glow is the color of the most perfect ocean water. It’s a powder blue hue that’s not easily forgotten. It can turn different shades of blue with different lighting conditions – such as aquamarine when the sun and light hits it just right. Popular opinion would have you believe that Blue isn’t a Jeep color, but Bright Jade Satin Glow will convince you otherwise. This color was a Wrangler color for 1997 and 1998. Desert Sand Pearl is the first earth-tone color on this list. At first glace this color would seem to blend in perfectly with most off-road Arizona or New Mexico desert scenery. Then the light hits this color and suddenly the glossy nature of the color catches the eye. The gold and tan mixture is very relaxing, but gives all viewers, the impression the Wrangler is one serious off-road vehicle. There’s just something very special about this color that words can’t fully describe. 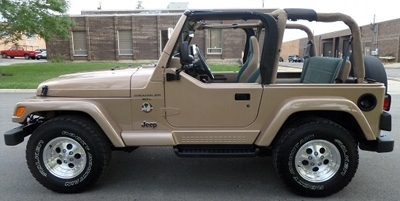 Desert Sand Pearl was only a Wrangler color for the 1999 and 2000 model years. Just about every year Wrangler has at least one red exterior color on the option list. There have been so many different shades of red Wrangler colors over the years. Unfortunately the best of the bunch, Rock Lobster Red was only available for the 2013 model year. The name fits this color perfectly. It looks just like a red lobster with a slight hint of pink, especially when the sun or bright light hits this color. It’s a color many Wrangler fans would love to see return. A Wrangler is all about utility and there’s no work vehicle that’s more utilitarian in nature than a bulldozer. Jeep tried to mimic the yellow color that has graced most bulldozers over the years – it’s that perfect mix of yellow and orange. With the Dozer colored Wrangler, Jeep hit a home run. The color was a instant favorite with Wrangler buyers. 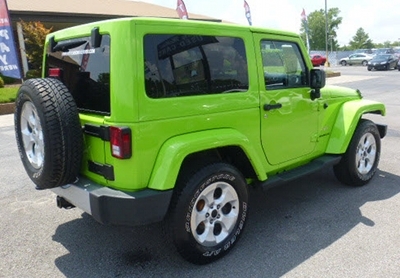 Unfortunately Jeep only offered this Wrangler color for the 2012 and 2013 model years. Traditionally, gray colored vehicles have been as exciting as day old mashed potatoes. Not Anvil, which is a recent Wrangler color that broke all the rules. Where most gray cars appear dull no matter how clean the paint surface, Anvil was shiny and inviting. Anvill first made its appearance as a 2013 Wrangler Rubicon 10th Anniversary Editon color. 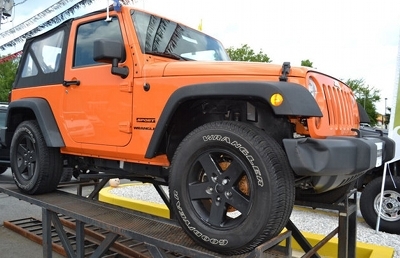 It then returned as a color on all Wrangler models for 2014 and 2015. When it was cancelled, there were many tears shed among Wrangler fans. If ever there was a Wrangler color that appeared as if it was taken directly from an expensive luxury car, it would have to be Light Champagne Metallic. This color had a perfect hue it appeared to be the combination of champagne and pearl white. 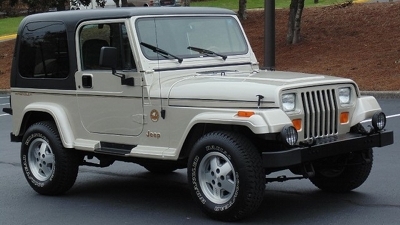 This Wrangler color was only offered for the 1992, 1993, and 1994 model years. This color arrived at the right time when Jeep was adding more options to its Wrangler models in order to appeal to a wider audience. This upscale color was the perfect trap for luring new customers to the Wrangler. 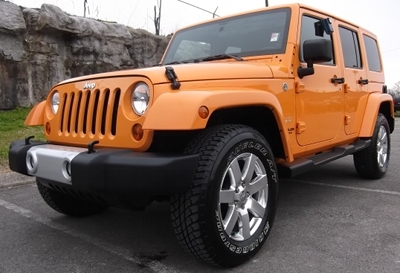 If ever there was a color that Jeep should offer every year, Crush Orange would be that color. Unlike most Orange colored cars or trucks which tend to be reddish orange, Crush Orange was truly an orange hue. It just like Dozer Yellow was only available during the 2012 and 2013 model year. It’s the one color that most Wrangler owners agree should return to production. Hopefully Jeep is listening, and Crush Orange will return for the upcoming all-new 2018 Wrangler. We can only hope. « FCA To Kill Hemi V8?